iPhone X will be able to identify whether the original owner is looking on the lock screen and will display the notifications accordingly. If it is the original owner, iPhone X will show the content of the notifications and if it is a random person, the content will be hidden. Before, iOS only offered two options for displaying the notifications on the lock screen: to show the full text of the notification of not to show notifications at all. And even this setting was only available in Mail and Messages. 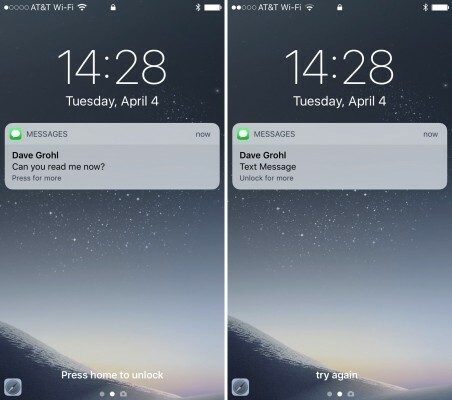 Earlier iPhones that have no Face ID will have a setting to show notifications with content or preview only when the device is unlocked. In Android, this feature that seemed quite obvious has been introduced years ago. Apple needed 10 years to make this possible.